Welcome to the 626th Edition of my series. 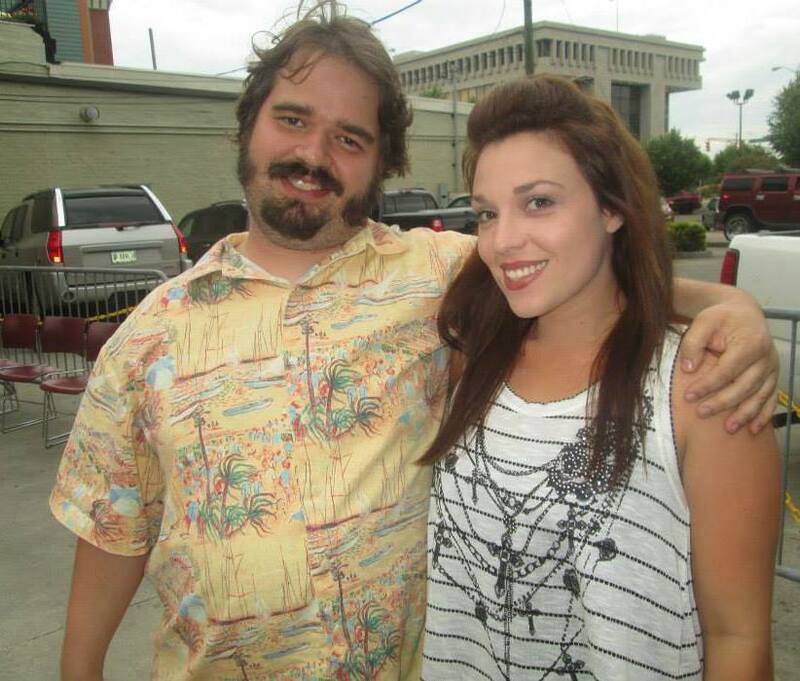 Last week was my 12 year anniversary and I am still going strong. I'm actually doing really well in one of my fantasy leagues so I hope to continue with that success. I don't really have a lot going on so I'll just get on with my selections this week. Normal (2003): I start the week out with this HBO movie which was directed by Jane Anderson and based upon her own plays. 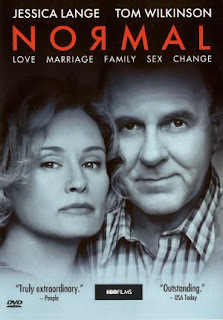 Tom Wilkinson and Jessica Lange star as Midwestern married couple Roy and Irma Applewood. After the 25th anniversary, Roy announces that he feels he was born the wrong gender and is looking to become a woman. The family and the community deal with this announcement in different ways and shows the effects of others. Hayden Panettiere, Richard Bull, Jospeh Sikora, Clancy Brown, and many others co-star in this film. This is a really good look at a community dealing with rather surprising news and showing the transition of a man looking to become a woman. Good performances out of the cast and a really good story. This one deserves a look. 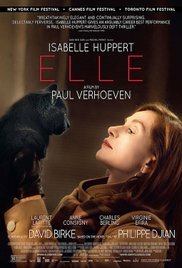 Elle (2016): This is my French film for the week. Paul Verhoeven directed this movie based on the novel by Philippe Djian. Isabelle Huppert stars as Michele who is the head of a successful video game company and her life changes when is attacked and raped by an unknown assailant. She does not like going to the police so she tries to investigate it herself where they are both drawn to a very curious game that could spiral out of control. Laurent Lafitte, Anne Consigny, Charles Berling, Virginia Efira, Judith Magre, Christian Berkel, Jonas Bloquet, Alice Isaaz, Vimila Pons, and many others co-star in this foreign film. This was intended to be done in the United States but American actresses were declining it so he took the project to France where Huppert was able to successfully lobby for the lead part and many say this is the best performance of her career. This movie had the suspense and a very compelling story. 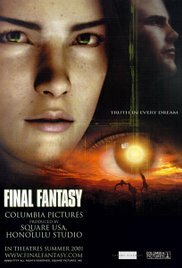 Final Fantasy: The Spirits Within (2001): Hironobu Sakaguchi directed this animated movie based on the video game series that Sakaguchi also created. This takes place in the future where Dr. Aki Ross, voiced by Ming-Na Win who looks to find the secrets of a group of alien invaders. She reluctantly agrees to team up with the Deep Eyes military squadron lead by her old friend Grey, voiced by Alec Baldwin. Ving Rhames, Steve Buscemi, Peri Gilpin, Donald Sutherland, James Woods, Keath David, Jean Simmons, and many others provided their voices to this film. I won't pretend to know anything on the video game series. This was still an enjoyable animated sci-fi film and some very good animation. 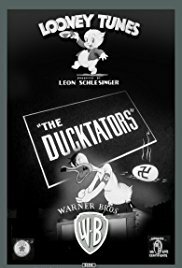 The Ducktators (1942): This is my classic animation and WWII propaganda short in hopes people would buy those ever important War Bonds of that era. This takes jabs at Hitler, Mussolini, and Hirohito who are all portrayed as ducks in a duckyard and giving brief information of the three. This was a very funny short and great WWII propaganda. This can be found on Amazon Prime with Patriotic Cartoon Classics. 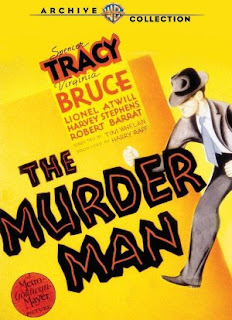 The Murder Man (1935): Tim Whelan directed this crime drama which stars Spencer Tracy as Steve Grey who is a hard-drinking reporter investigating the murder of a shady businessman and believes it was his own business associate Henry Mander, played by Harvey Stephens. Mander is tried, convicted, and sentenced to death and Grey is assigned to write one last story on him which proves to be a struggle. Virginia Bruce, Lionel Atwill, Robert Barrat, James Stewart, and many others co-star in this film. This is Spencer Tracy's first movie under the MGM contract which would be the start of a 20 year career. This is only about 69 minutes long and is a pretty good short time. Some really good twists happen and worth seeing James Stewart in an early role. 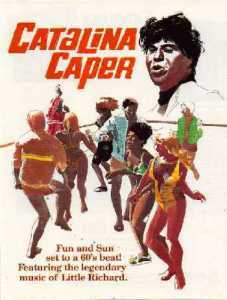 Catalina Caper (1967): This is my MST3K episode for the week if that says anything. This is a beach movie where a bunch of teens try to foil a group of crooks stealing a scroll. I don't have much else to say on it. People like Tommy Kirk and Lyle Waggoner star in this movie and Little Richards has a rather forgettable cameo in a song called SCUBA PARTY. This is one of the earlier episodes of MST3K with Joel Hodgson. According to Netflix it is season one and episode two but found it is really season three. Still some fun riffs to watch this movie to and they picked a good one to pick apart. 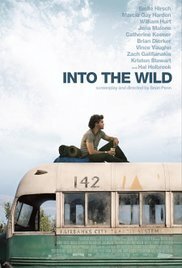 Into the Wild (2007): Sean Penn directed this film that is based on the true story of Chris McCandless, played by Emile Hirsch. McCandless was a graduate of Emory University and has always had it made with fairly wealthy parents, among other things. He had the world waiting for him and a savings account of $24,000 but decided to donate to charity and hitchhike to Alaska to live in the wilderness. Along the way, he meets a very diverse group of people to help shape his life. 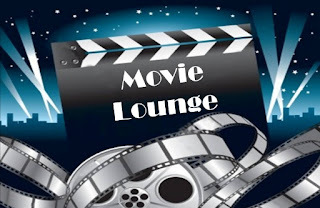 Marcia Gay Harden, William Hurt, Jena Malone, Brian Dierker, Catherine Keener, Vince Vaughn, Kristen Stewart, Hal Holbrook, Zach Galifinakias, and many others co-star in this film. This has a lot of really nice interactions and I think I like the one with Hirsch and Holbrook the most. It also has a good original soundtrack from Eddie Vedder. This is available to watch on Amazon Prime. 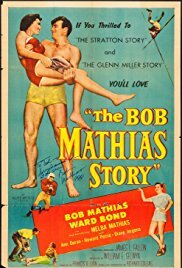 The Bob Matthias Story (1954): Francis D. Lyon directed this movie that is also based on a true story of the person in the title played by Bob Mathias himself as well as his wife Melba. Mathias was a California school boy who showed potential in the world of track and field. Ward Bond co-stars as his high school coach who trains him for the Decathlon and goes onto win two gold medals in the 1948 and 1952 Olympics. This was a time period where a lot of people played themselves in a biopic and this was a pretty good tribute to Mathias in this very low-budget film. 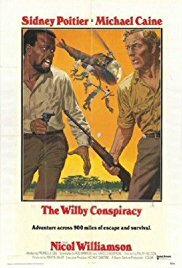 The Wilby Conspiracy (1975): Ralph Nelson directed this film that takes place in Africa. Sidney Poitier stars as Shack Twala who after 10 years in prison finally gets released but has a run-in with the police that once again puts him on the run. His attorney Rina, played by Prunella Gee, and her boyfriend Jim, played by Michael Caine, help him to get away with Jim and Shack on the run together. They head to Cape Town in hopes to recover a stash of diamonds while on the run. Saeed Jaffrey, Persis Khambatta, Rutger Hauer, Nicol Williamson, and many others co-star in this film. I guess you could call this a buddy movie in a sense and it takes that phrase to a new level. Caine and Poitier prove to be a really good duo in this action thriller. The Cool School (2008): I end the week with this documentary which was directed by Morgan Neville. 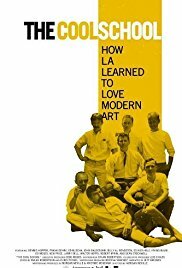 Jeff Bridges narrates this documentary that takes a look at the art scene in Los Angeles in the 50s and 60s. This mostly takes a look at the Ferus Gallery that was founded by Walter Hopps in 1957 and formed a lot of offbeat art from scratch and gave rise to Andy Warhol. The documentary interviews a lot of the artists like Hopps, Irving Blum, Larry Bell, and even actors like Dean Stockwell and Dennis Hopper. This is a pretty good documentary surrounding the art world. This is available to watch on Youtube. Well, that is it for this week but have returned with the segment of "Movie Night at the Shera". Tell me what you like and dislike and stay tuned for next week. Little Shop of Horrors (1986): This classic musical was included on my 12 year edition on last week's feature. When I went to see Shera's daughters in their high school production THE SOUND OF MUSIC, I brought this up in conversation likely suggesting that should be their future show. I also mentioned that this was the Director's Cut version which is quite a bit different than she is used to and ends more like the stage version. It has been awhile since we have been able to get together with her job and I showed her the Director's Cut of this musical along with her youngest daughter who showed some interest in the movie. Frank Oz directed this popular musical from Howard Ashman and Alan Menken that is always a sure winner in the community theater world. This takes place in the very poor town of Skid Row where Rick Moranis stars as the nerdy and bumbling Seymour Krelborn who works at the struggling flower shop owned by Mr. Mushnik, played by Vincent Gardenia, which also employs Seymour's friend and crush Audrey, played by Ellen Greene, who is in a very abusive relationship with the unscrupulous dentist Orin, played by Steve Martin. Things change for them when Seymour buys a very mysterious plant that he calls the Audrey II, voiced the Levi Stubbs of the Four Tops, whose presence wins them more business but at a price when the plant shows a lust for blood making Seymour question how far he should go to continue the success. Tichina Arnold, Michelle Weeks, Tisha Campbell-Martin, Jim Belushi, John Candy, Christopher Guest, Bill Murray, and many others co-star or have cameos. This is a remake of Roger Corman's 1960 b-movie of the same name which I still watch from time to time feeling I need to give credit where credit is due for this musical. 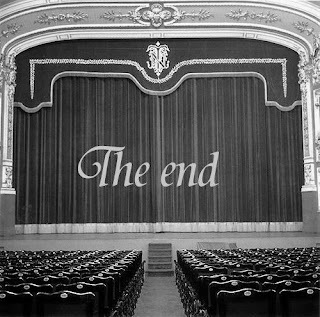 Those who have seen the stage version and this movie version are aware that the endings are quite different and that is because they were forced to make the ending by the producers but Oz had shot the alternate ending that resembles the more dark ending that happens in the stage version and is now available on dvd as the Director's Cut. A lot of the time that phrase "Director's Cut" does not mean much but in this case it means everything to me. Now for Shera who is used to the original movie ending was thrown for quite a loop at the darker ending. 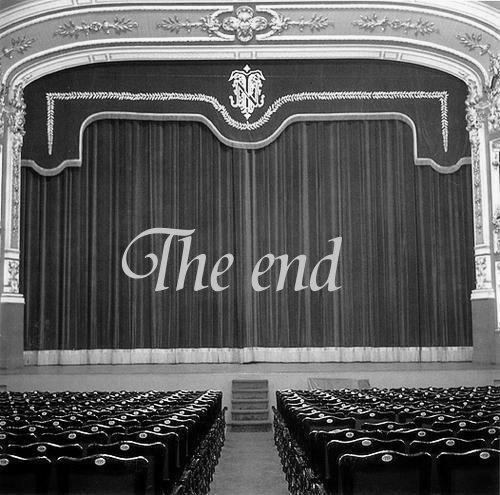 This is one of the few musicals that I really want to do. I tried out for it years ago and went for Seymour while realizing I went for the wrong part and should have gone for the voice of Audrey II.